Reading is a huge part of our lives. Virtually everything we need and want to do is tied somehow to reading. Whether it’s an important email from a friend or a novel you just cannot put down, reading enriches us and helps us reach the goals we have set for ourselves. 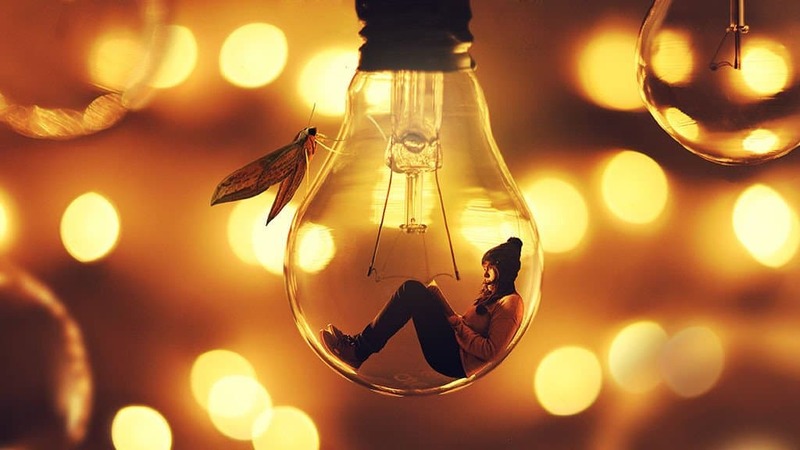 It helps us escape to another world and feel captivated or immersed in another culture. For those of you who regularly visit our site, you know that we are all about books. 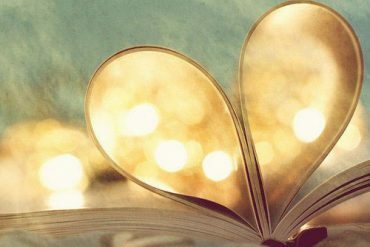 We embrace the reader who loves to read and even the reluctant reader who comes to us in search of inspiration. 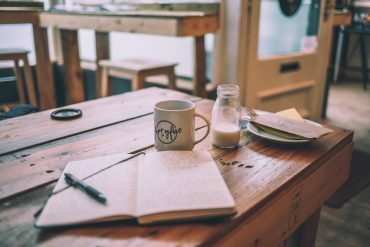 We love writers and readers and try to provide some of the best possible resources for readers and writers that are available today. 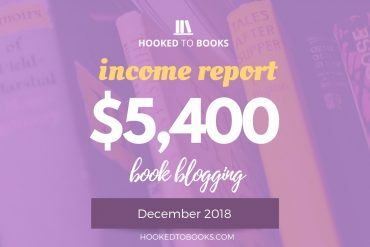 That’s what we are about at Hookedtobooks.com. 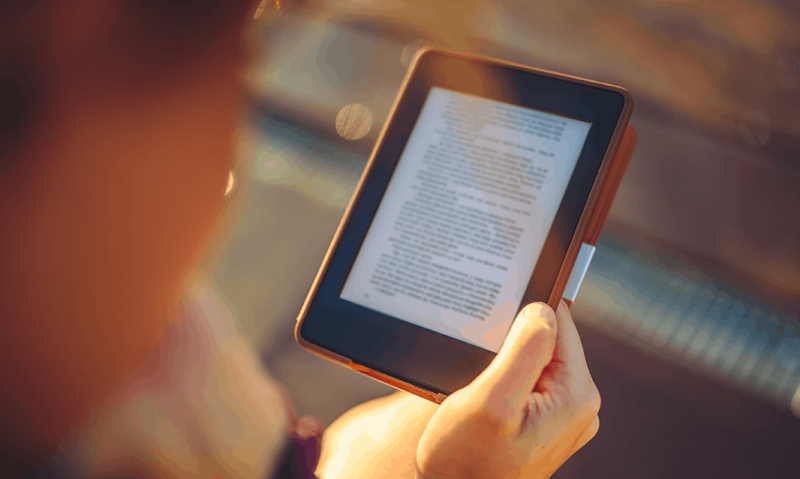 We love books, and we want our readers to have the best reading experiences possible. In these cases, the activity that you are involved in takes precedence over the reading process. In other words, at the heart of it is the reading process. 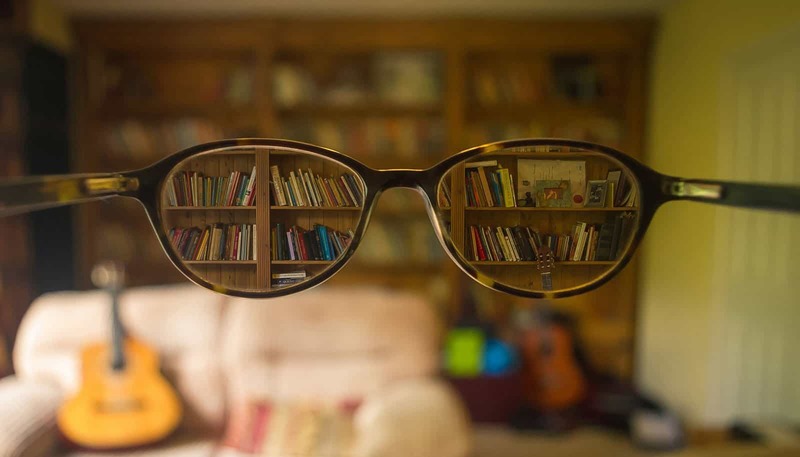 But you need to focus on specific activities such as singing, cooking, or studying, rather than the other physical activities attached to reading such as turning pages and holding a book. For these activity-oriented reading pursuits, you need a particular type of bookstand that lets you keep your hands free while holding up your books and materials. There is also some research showing that holding a book at an incorrect angle can lead to neck pain and posture problems. In this article by PainScience.com, the authors discuss the importance of correct posture when reading, sitting, and doing other daily activities to avoid the onset or worsening of spinal misalignments and injury. If you are looking for the best devices to hold your books, you’ve come to the right place. 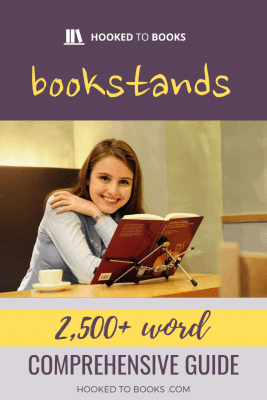 This is a comprehensive 2016 guide to finding the great book stands for your bedside table, as well as the best music stands, inexpensive book stands, and other kinds of book stands. We provide the information you need to enjoy reading the materials you wish to enjoy while enjoying the comfort of having an appropriate bookstand. Read through these sections and browse the information about the best bookstands. No matter what category of book stand you are looking for, whether for booking, music, studying, or reading in bed, you’ll find some great recommendations here. You’re sure to find something that intrigues you and makes your reading more enjoyable and convenient. 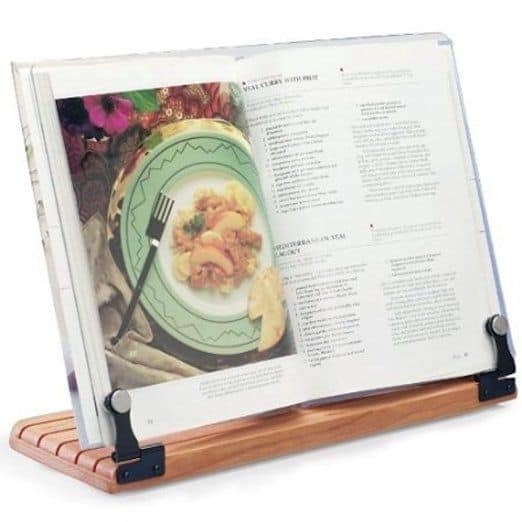 If you are looking for a bookstand that promotes good posture while also holding your essential recipe cookbooks and other books nicely, try this Nice Production INP-101-O Book Stand. The larger size allows for better stability, and it can withstand even the bulkiest of books. No more worries about books falling off and getting damaged when you use this book stand. 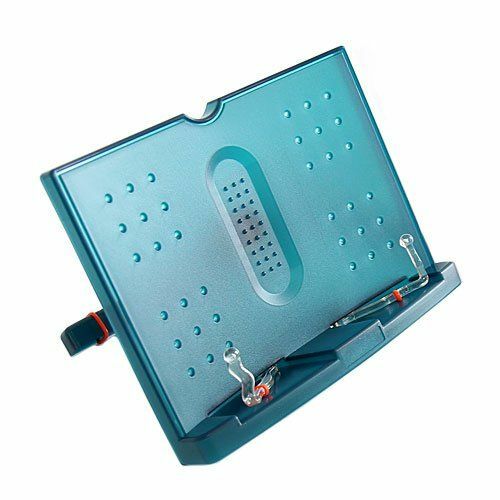 This bookstand is excellent for cooking or reading large books and materials so it would be ideal for educational purposes as well as for cooking where the user has to stand while looking through information. When doing something like baking and cooking, you need to be able to keep your hands free while reading the relevant instructions. This book stand serves the purpose for cooks and chefs nicely. You can also use it for smaller books, or for holding anything you need it to while you keep your work hands-free. When you are shopping for the best book holder or stand, you will want to consider this cookbook stand to save your hands for the more important activities of cooking. This item has over 1700+ customer reviews on Amazon and many positive comments about the large size and reasonable price of this bookstand. If you are looking for the best cheap book stand available, try the Actto BST-09 Adjustable Portable Stand and Document Holder. This All-in-One media display lets you use it with books, cookbooks, magazines, sheet music, and any other sort of taller type media. This book stand is a large model with clips to hold pages in place. If you are outside and need something to keep the wind from blowing your pages out of place, this is a good one to use. Customer reviews topped over 2,500+ at this writing and most customers commented about the large size and versatility for larger books. Many customers liked using it for studying and taking notes for college classes or using it for presentations and documents. 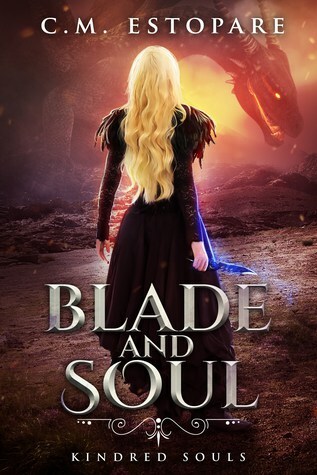 It received a 4.5-star review at the time of this writing on Amazon’s site. You can use this stand for artwork or do presentations from this reading stand and customize the viewing angle. It is light and portable but can hold up to 10 pounds of weight, making it the ideal but economically-priced bookstand. Do you like to read in bed but get tired of holding onto a book while doing so? The Hog Wild Peeramid Bookrest offers a unique and interesting solution to this problem. Experience comfortable reading that was inspired by the Great Pyramids of Egypt. It’s an artistically-designed pillow with a bookmark that allows you to prop your Kindle reader or book at the best angle for reading. It comes in a multiplicity of colors and can be purchased to accent any decor. 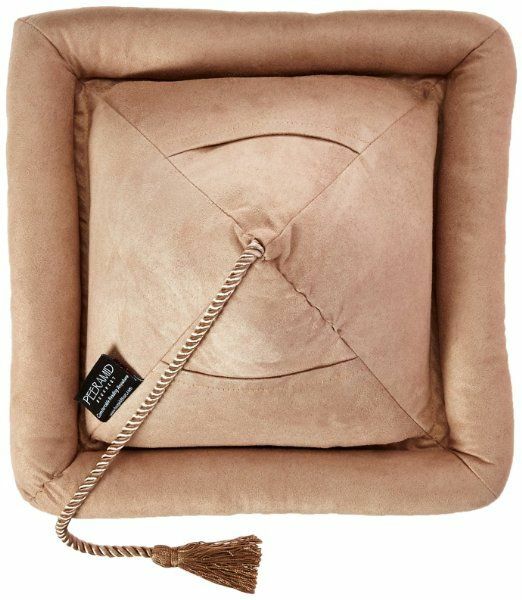 The softness and versatility of this item allow you to take it with you anywhere and use it in a variety of situations. It will hold Kindle type readers and tablets just as easily as traditional hard-cover books. You can place the spine of your book into the ledge of the Peeramid to allow you to use your other hand to take notes, eat, or write. 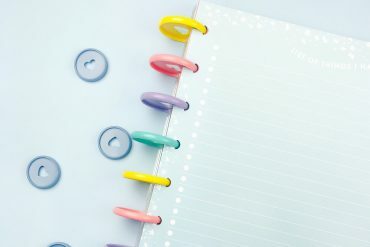 This item is ideal for college students who need to take notes on a class but have trouble balancing their book with their notepads. You can also use your mobile phone while reading with your free hand if you choose. The Peeramind Bookrest has a 4.5 rating on Amazon with 921+ customer reviews at the time of this writing, and some users reported that they loved the softness and versatility of this item and that it increased their level of convenience when reading in bed. The Peeramid Bookrest is made of soft material that resists stains, making it an even better choice for a reading stand. 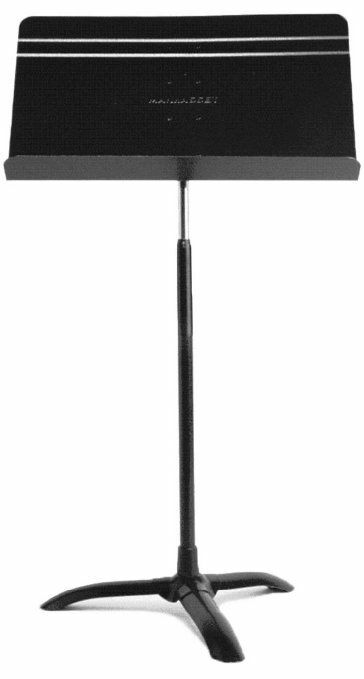 The Manhasset Model #48 Sheet Music Stand is a great solution for music teachers and band students looking for the perfect music stand. 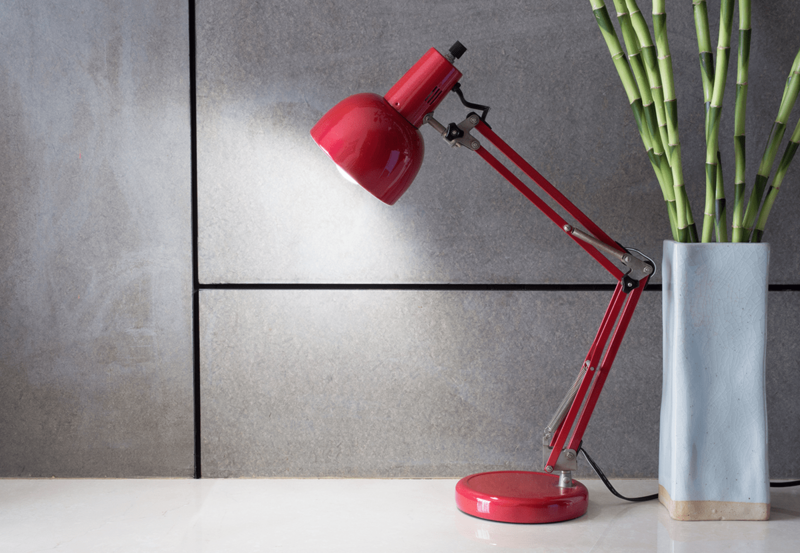 It is a long-lasting, durable stand that is easy to tilt and move to any position. The Solid-brass bearings and construction provide excellent support, and you no longer have to worry about it falling over and dumping your sheet music while you play. Imagine being in an important concert and placing your music on your stand with an unstable music stand. If you are a serious musician, you need to have a reliable stand that you can count on. The Heavy-gauge, all-steel welding provides stability and requires minimum space when placing it on stage risers or storage. Customers who purchased this item reported that it is “a great music stand for a great price,” and that “assembly is fast and easy.” Over 721 customers reviewed the item after purchasing, and it currently has a 5-star rating on Amazon. Band directors and musicians alike will enjoy the stability, versatility, and exceptional craftsmanship in the Manhasset Music Stand. This stand would also be perfect for windy days when bands perform outside, and the wind can toss pages out of place and make musicians lose their places. The Deluxe Large Cookbook Holder by Clear Solutions is a great solution for the busy cook who wants to free their hands to work while having their recipes handy. Reading cookbooks while cooking is tough to do when you are trying to gather ingredients, bustle around to mix everything up and start the baking process. The last thing you need is for your cookbook to close in the middle of your cooking process. You can waste a lot of time trying to relocate pages that blow out of place due to an overhead fan or breeze. This cookbook stand is specifically designed to hold large cookbooks in place and keep them steady while you are working. If you run a restaurant, this cookbook would be ideal to put your large cookbooks on the stand while your chefs cook. Save time and maximize your profit if you are preparing food for profit. Everyday kitchen chores will be a breeze with this large but convenient cooking stand. On Amazon, the Deluxe Large Cookbook Holder by Clear Solutions has a 5-star review at the time of this writing. This stand has a beautifully crafted cherry wood base that is sturdy enough to handle any book. So you can use it in other places besides the kitchen as well. It folds nicely for storage when you need to store it away after cooking a big dinner or special meal for guests. Consider the purpose of the stand: When shopping for a book stand, consider the purpose of the bookstand. 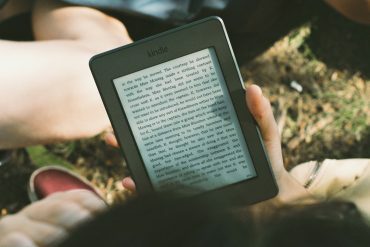 Do you need a small support for a Kindle Reader or smaller book? Try the Hogwild Peeramid Bookrest. It is soft and perfect for reading in bed. For heavier books such as cookbooks or art books, look at the Deluxe Large Cookbook Holder. It holds large cookbooks and other heavy books and allows you to keep your hands free while you work. Browse our other selections above for specific types of stands. Think about materials: The materials that your bookstand is made of is important to the durability and stability of the item. Many of the bookstands in our review feature highly-durable materials such as cherry wood, reinforced metal, and well-constructed units that will not let you down. Durability and stability are important aspects when searching for a bookstand. You also want it to look attractive if you will be using it in public where others will see it. Consider convenience: Bookstands make your reading experience more convenient by offering you a way to secure your reading materials while focusing your efforts on your activities. The smaller book holders are convenient for in-bed reading, reading in a chair, or other contexts. The large book holders are larger stands that serve the purpose of holding up heavy cookbooks or other books that it would be impossible to hold while working. Whatever the purpose, convenience is an important aspect of a bookstand so purchase the one that best serves your needs and makes life more convenient for you. Consider price: All of the bookstands that we have featured in our buying guide are priced quite reasonably. Only you know how much you can budget to pay for a bookstand. But we have gathered some of the most economically-sound bookstands in our guide to help you make your decision. Shop around: The best way to be sure you get the type of book stand you need to shop around. Click on our links to the various book stand models and read the client testimonials and reviews to get an idea of how other buyers liked the item. All of our featured bookstands had excellent customer reviews from most buyers. That’s why we selected them to be included in this book stand buying guide. Browse the selections and shop and compare to get the best deal. 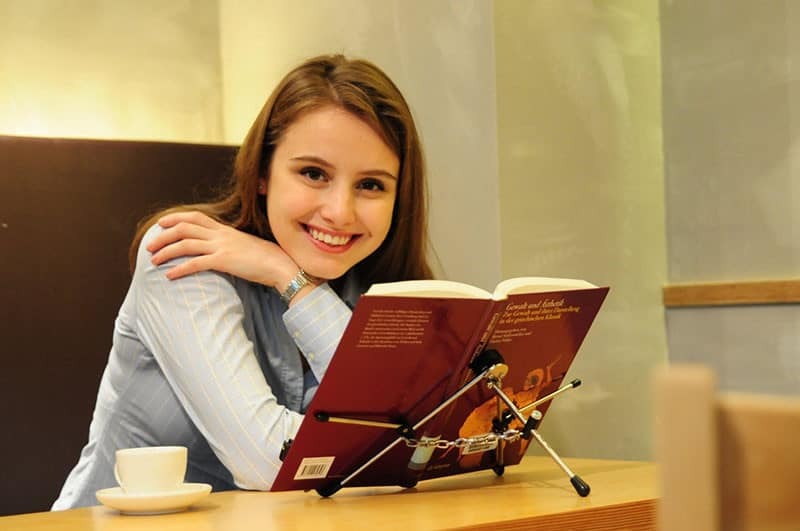 In this Buyer’s Guide for 2016 on the Best of Bookstands, we have chosen to review some of the best of the book stands we found of the different types available on Amazon, the world’s #1 online retailer. 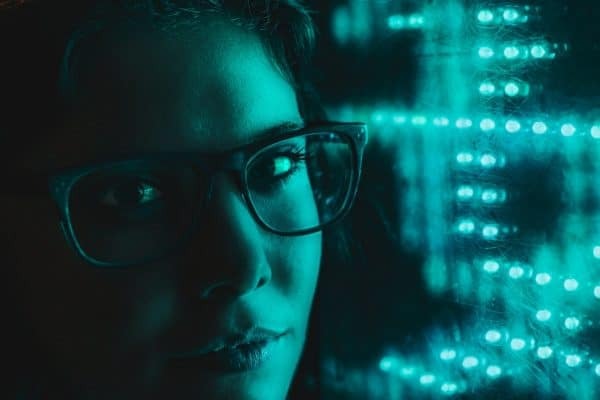 With thousands of prime quality products to choose from, Amazon is a great source of excellent products and delivery options throughout the world. We have tried to focus on a diverse number of types of bookstands so that you could pick and choose the best stands for your reading purposes. We want to encourage people to read in every context possible and to become lifelong readers. 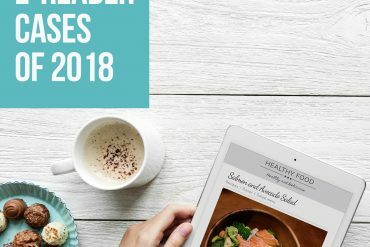 Whether you are in need of a cookbook stand, a stand for reading in bed, music or art stand, or just a simple floor stand, there are plenty of options to choose from in our buyer’s guide. If you have suggestions on what you would like to see us include in future editions of our Buyers’ Guides or Gadget Review, please let us know. Remember to shop and compare but you can find the best recommendations for high-quality items with our buyers’ guides. I’d recommend the Peeramid if your books are not too heavy. But is anything available anywhere besides Amazon? Hi, my dad is recovering for a stroke which has caused paralysis on his left side. He is having difficulty turning pages one handed. 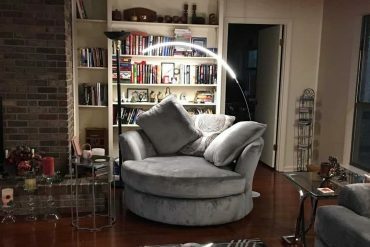 Is there any reading stands you could recommend please? Where can I buy that number 1 book stand(tripod with steel chain type)? The purchase link is wrong one! Book holders or bookstands are really very helpful. you can place it anywhere like In the kitchen. On the table etc… it’s very helpful to people who are on bed rest and want to read books. And the options seem nice. The books stand you have recommended is really nice. I love too read a book at night and this stand will be very helpful for me. This bookstand saved me from neck cramps. It works perfectly and I don’t have any complaints about it at all. I want to know are here any book stand under $100 ?